Back in January I asked IntelliJ IDEA: the best IDE for programming Android? Google says yes. 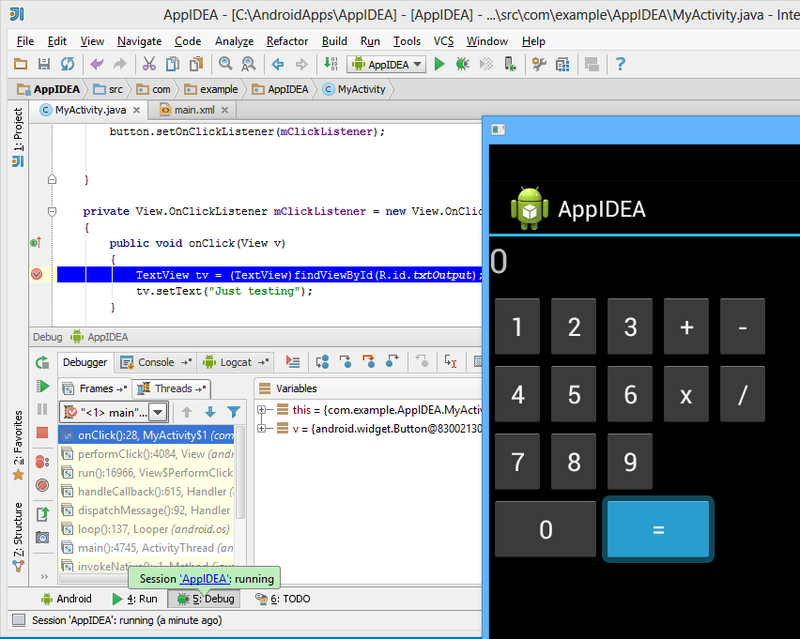 At the IO conference today, the company announced the official Android Studio – and it a version of IntelliJ IDEA. 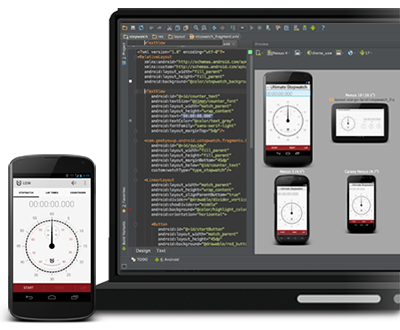 Android Studio is currently in preview. 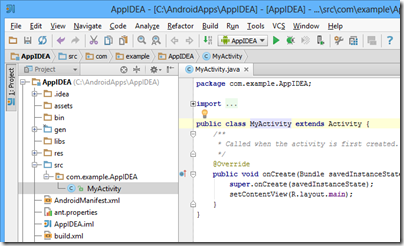 IntelliJ IDEA: the best IDE for programming Android? 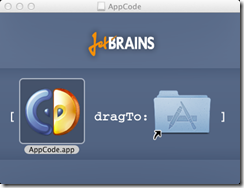 Late last year the JetBrains team released IntelliJ IDEA 12, the latest version of its Java IDE. Java today has many roles, but two dominate. One is server-side programming using one of many Java application servers, while the other is coding Android apps. 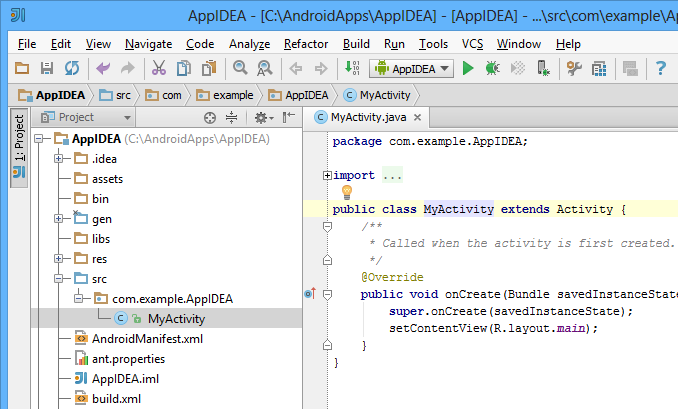 IntelliJ IDEA has the former role well covered, though this is the first release with full support for Java 8, but Android development is less mature, though it seems to me that it has now come together. 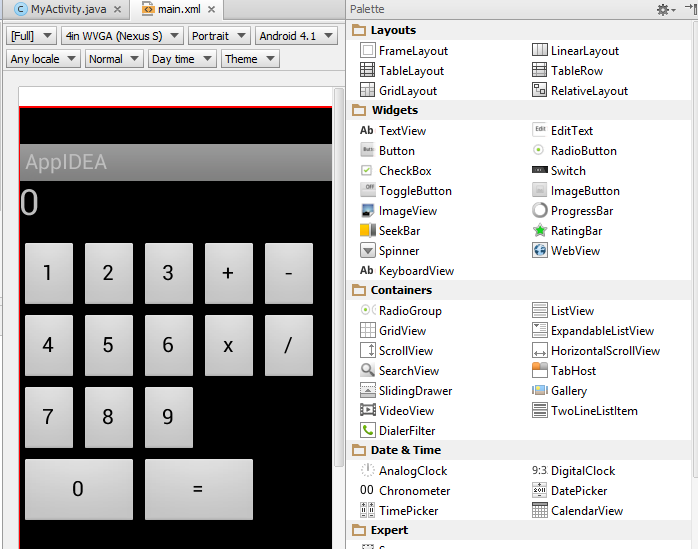 The big new feature for Android is the inclusion of a visual user interface designer. 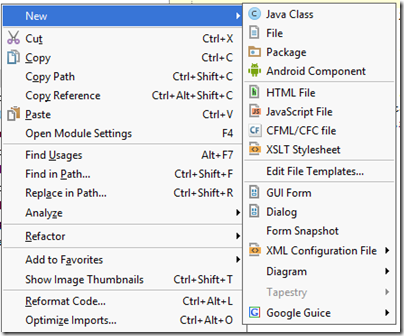 Standard Android layouts are defined in XML, and the IntelliJ IDEA tool is a two-way designer that lets you flip between visual and code views. I found it to work well. 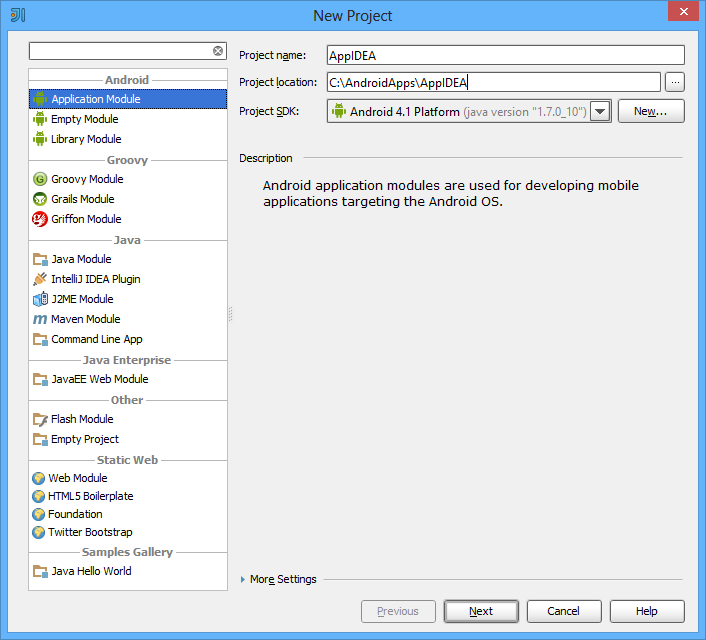 The starting point for an Android app is the New Project dialog. 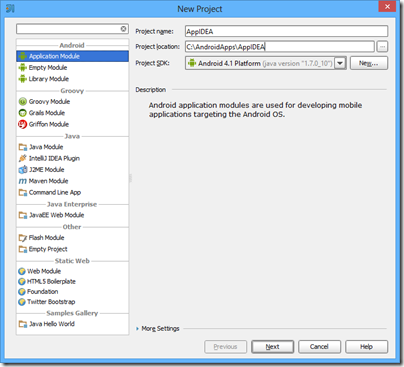 This hooks into the Android SDK installed on your machine. In this example I am using Android 4.1 “Jelly Bean”. Next, you select a target device (actual or emulated) with the option to create a “Hello World” activity as a starting point. 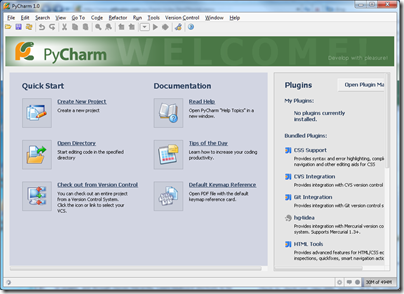 The project then opens in the IDE. It is not obvious how to get from here to the new UI designer. The New dialog will not help you. 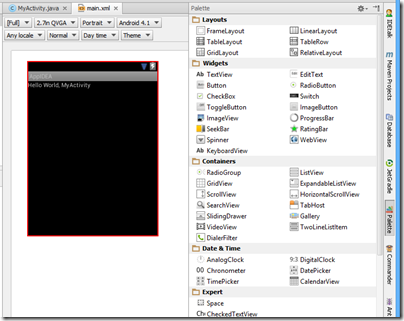 What you do is to hold down Control and click the word main in setContentView(R.layout.main). 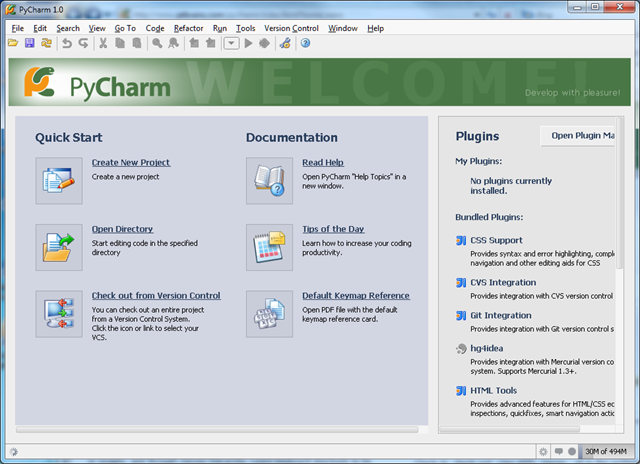 The default layout is a LinearLayout. 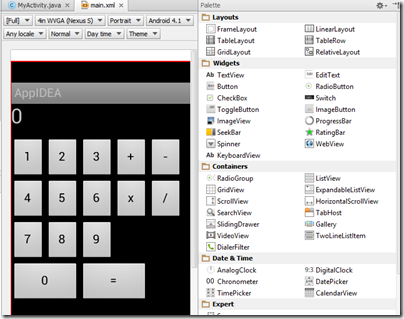 If you are making, for example, a calculator, you probably want a TableLayout or GridLayout. I found it useful to be able to flip between text and design views. The design view can save a lot of typing. The text view is excellent when you want to see the exact code and perform text operations like copy or search and replace. I was surprised not to find an instant way to create an event handler (unless I missed it) but this is easily done in the editor. 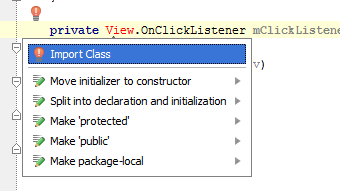 With IntelliJ IDEA, it is always worth pressing Alt-Enter as this will offer a prompt of potentially useful actions. 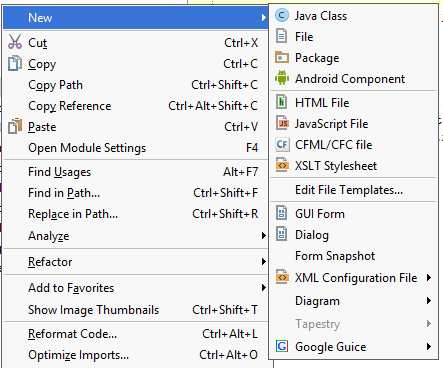 Usability: Intellij user experience is much easier to grasp. The learning curve in Intellij is by far faster. It seems using Intellij makes developing easier and more natural. 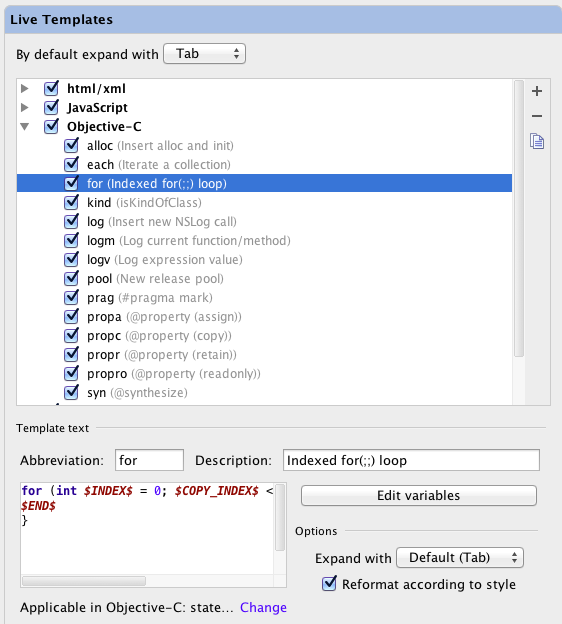 Dropdowns, code completion, quick view, project wizards, etc, are all possible both in Eclipse and Intellij, but the experience in Intellij is much more satisfying. That said, Eclipse is completely free, whereas the free Community Edition of IntelliJ IDEA has limitations – but as far as I can tell, Android support is included. 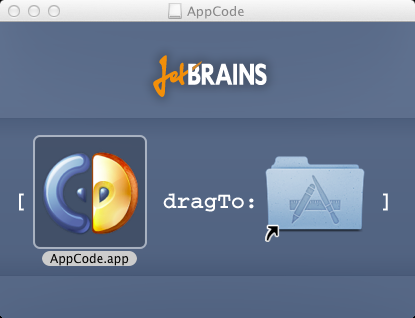 I have been trying out JetBrains AppCode, a new IDE for Apple’s Objective C. The company is best known for its IntelliJ IDE for Java, and AppCode essentially takes the same core IDE and reworks it for Objective C. AppCode is itself a Java application, but unless you have a religious objection to this I doubt you will find it a problem: I found it perfectly snappy and responsive on my machine, a 2.3 Ghz Core i5 with 8GB RAM. Installation was a snap, as Mac users expect. 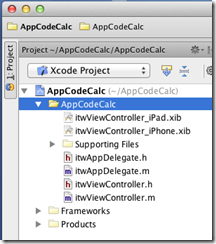 One thing I discovered immediately is that AppCode is not a replacement for Xcode, the official Apple IDE. 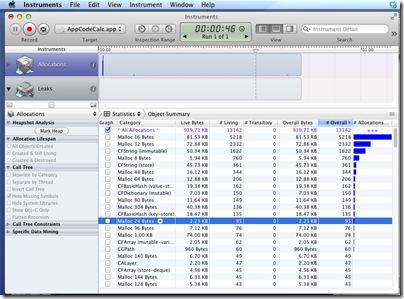 The Apple SDKs are delivered with Xcode, and AppCode requires it. 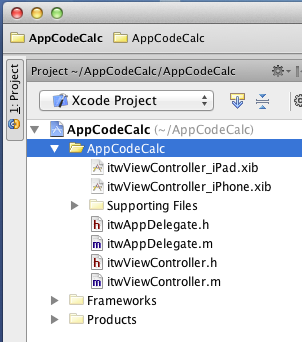 An AppCode project is also an Xcode project. This is particularly important if you want to use Interface Builder, the Xcode visual designer, since AppCode has no equivalent. Double-click the .xib file and it opens in Xcode. This is a disorientating at first, but in practice I found it convenient to be able to switch between the two IDEs. So why bother with AppCode, when Xcode is free? It is certainly not essential, but my view is that tools which save time or improve quality are worth the investment. Whether AppCode will do this for you will depend on how you work and whether you have any frustrations with Xcode, which improved considerably in version 4. Out of the box, Xcode has integrated Git or Subversion source code control, unit test integration, refactoring including Rename, Extract, and Encapsulate, the aforementioned Interface Builder, and a ton of other features. Sticking with Xcode is a safe choice. That said, AppCode feels leaner and less cluttered than Xcode. It also has many additional productivity features in the editor. 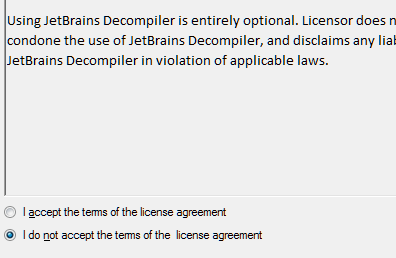 JetBrains’ IDEs are well known for refactoring, and while AppCode is not as rich as IntelliJ IDEA in this respect, it does have a more than Xcode. 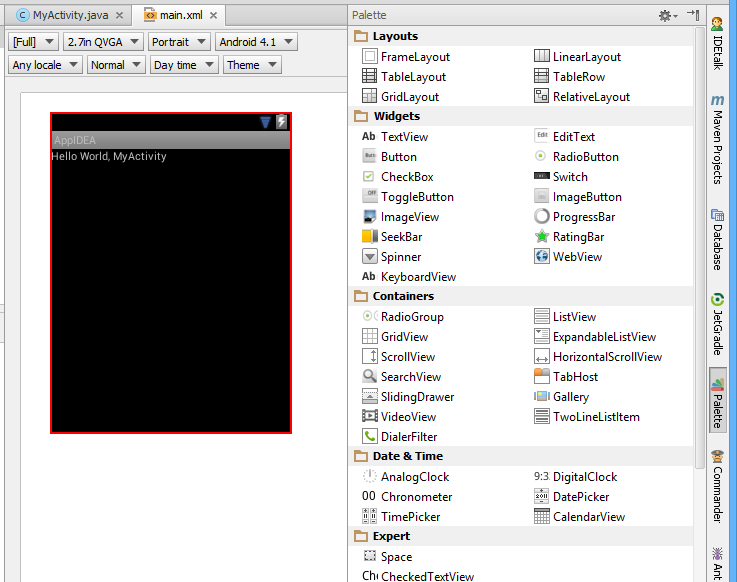 Live templates let you type an abbreviation and expand it to a block of code, which you then tab through to edit. 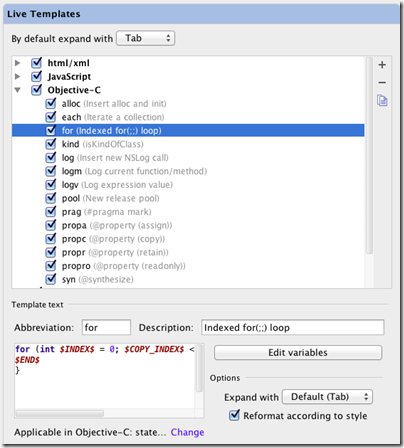 Type for, select the template, press tab, and AppCode will create a for loop; press tab again to edit the variable name and the number of iterations. You can customise and create your own Live templates in the AppCode Preferences dialog. 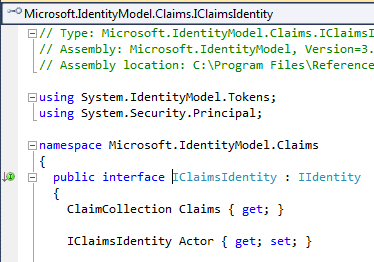 You can also do static analysis according to customisable rules. 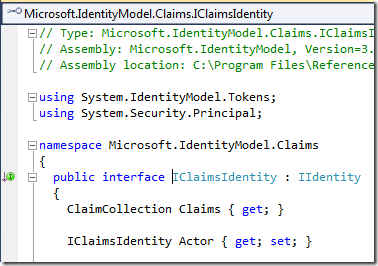 There is a debugger which works as you would expect including stack trace and variable inspection. 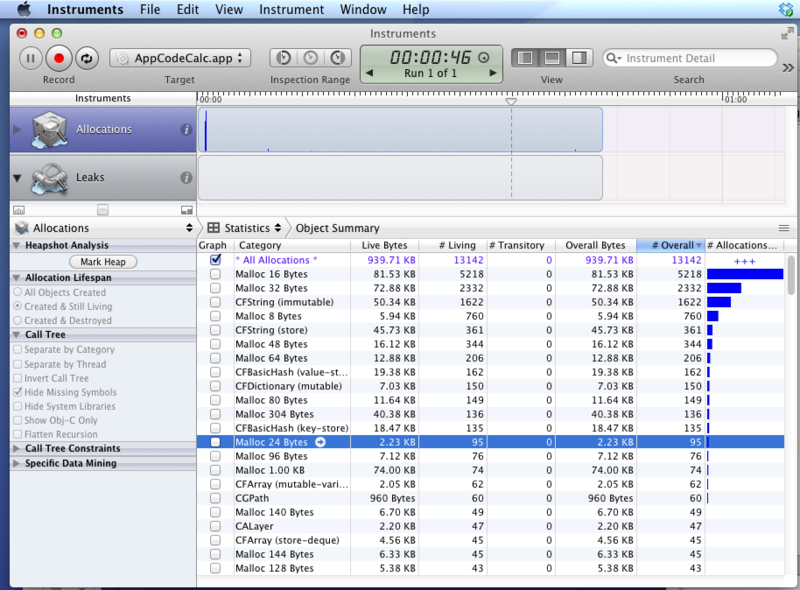 The best thing I can say about AppCode is that it is a pleasure to use. It does not throw up unnecessary dialogs, it works logically, and the tools are easy to use and configure. I have not always found this to be the case with Xcode, and if you spend a significant amount of your time on Objective C development then I recommend grabbing the trial download to discover if it will speed your work. JetBrains, maker of the admired IntelliJ IDEA Java IDE, has announced CIDR, an IDE for Objective C.
The 10 facts in the initial post tell us that it will be Intel Mac only, will open and create Xcode projects, and integrates with the standard interface builder and with the iOS simulator. Xcode is decent so what is the point? 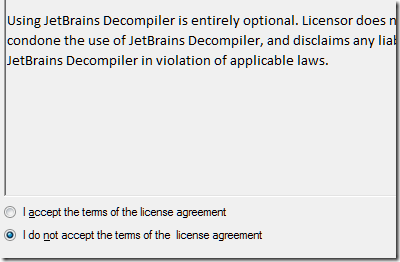 Mainly I guess because of the refactoring and productivity tools JetBrains builds into its tools. W are promised refactories, on the fly code analysis, and code completion. I am sure it will be worth a look, though taking on Apple will not be easy; it is a bit like going up against Microsoft’s Visual Studio n Windows, except that Xcode is free. That said, it does not take much in terms of added productivity to pay back the cost of an IDE.